Boston MA, October 25th – PaxeraHealth has announced the development of an artificial intelligence (AI) module integrated with its PaxeraUltima PACS, PaxeraAI™, that learns from radiologists and stores information that has been collected to suggest meaningful outcomes down the road. The information is fed to the module via a chatbot-like questionnaire during the study reading. The module enables the machine learning algorithm to collect information for instant analysis, making it “smarter” each time it is invoked. This anonymized data is added to the PaxeraAI™ database, accessible to all PaxeraUltima PACS users via PaxeraHealth’ s internal network. With 2,500 installations, the company expects the PaxeraAI™ database to grow quickly and be more relevant to a wider cross-section of the population than databases used in AI today. PaxeraHealth is currently cooperating with a number of teaching institutions and hospitals around the world to implement the new PaxeraAI™ module. The company plans to release an easy access to its tools via an API early 2019. PaxeraAI™ will capture the radiologist actions and behavior including input from other clinical systems and will allow its users to easily and selectively submit anonymized studies to be part of this growing worldwide PaxeraAI™ database. PaxeraAI™ will be included in the company’s Ultima PACS System. The first AI algorithms will include mammography and x-ray chest studies and will expand to other areas as the project grows. “Most AI in use today is static. While the studies may go back several years and are extensive, the amount of data that is relevant and associated with those studies is fairly limited and mostly just consist of the diagnostic report.” said Dr Mohamed Shoura, Founder and CEO of PaxeraHealth. “We are creating a dynamic system that provides a higher level of information and collaboration to both the radiologist and clinician so that AI can provide even more value to the diagnostic interpretation.” Shoura added. “Most companies look at AI from a technical perspective.” Dr Shoura stated. “We are looking at it from a business perspective, allowing access to user feedback and creating an open system that goes well beyond just the interpretation generated by the AI algorithms. A silent, static AI system is comparatively limited. You need one that interacts with the end user as well. Our system will provide a continuously improving environment that will leverage the heterogenous data we collect from all over the world”, Shoura concluded. Artificial intelligence is a branch of computer science that analyzes complex medical data. The potential to exploit meaningful relationship within a data set can be used in the diagnosis, treatment and predicting outcome in many clinical scenarios. 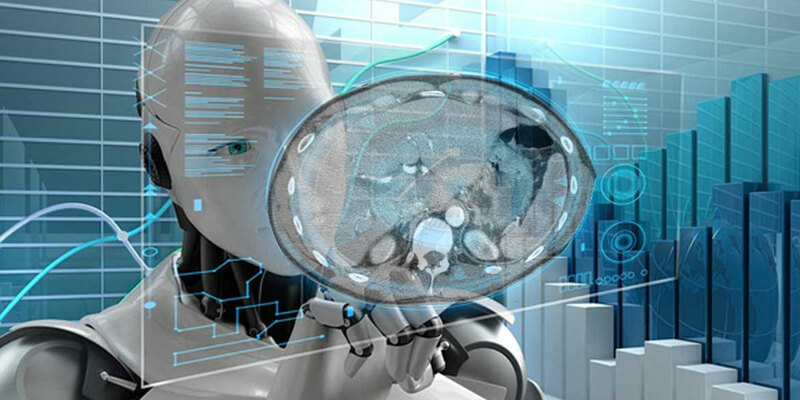 AI is projected to be a $2 Billion industry in 2018 and is poised to transform the diagnostic imaging industry with higher productivity and accuracy that enables personalized treatment planning. It also helps radiology departments handle larger volumes of imaging, particularly in countries that are experiencing a shortage of radiologists. Clinical trials with AI have shown it to improve outcomes with accuracy levels of 97% or higher. AI software can detect and diagnose strokes, analyze and identify both brain and breast tumors, evaluate chest studies to address lung cancer and other areas, provide analysis tools to measure blood flow in non-invasive coronary exams, and address many other clinical areas. PaxeraAI™ will be presented as a work-in-progress by PaxeraHealth at RSNA 2018 and can be seen in the company’s booth 7526 in the North Hall, Level 3, across from GE and Philips.